We have 3D printers that can take a description and print an object. Some 3D printers are capable of printing everything needed to make another 3D printer. This reminds me of programming language implementations. 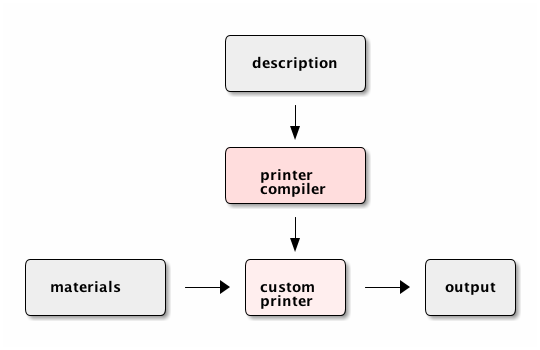 An interpreter takes a description (a program) and prints some output. A meta-circular interpreter is an interpreter written in the same language that it inteprets. 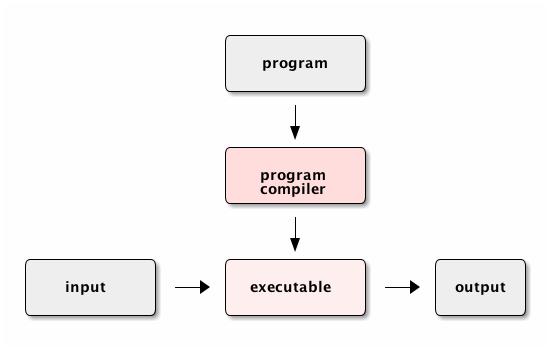 With programming languages we also have compilers that translate a program into another program that does the same thing but better (smaller and faster). What's the equivalent for 3D printers? I think it'd be a 3D printer that prints another, more specialized printer. That specialized printer might work faster or produce higher quality output or work with materials that a general-purpose 3D printer can't work with. The analogy isn't perfect but I'd like to see 3D printers that print more specialized printers. I wanted to tag my music library with the BPM of each song. There are commercial products for doing this through iTunes, but I wanted to do it from the command line, because I also use my music library outside of iTunes, and I don't want to be tied to iTunes anyway. The bpm-tools package can calculate bpm for a song. On Mac, it's easy to install with Homebrew. The base package only includes the analyzer; I wanted something to tag my MP3 files too, so I used the =-with-bpm-tag= option. It ends up installing dependencies: mad, sox, id3lib, id3v2, flac, libogg, libvorbis, libao, vorbis-tools. This made it skip files that already had a BPM tag. It took a while to run, but now all my MP3 files have a BPM, and iTunes picks that up too. Yay!